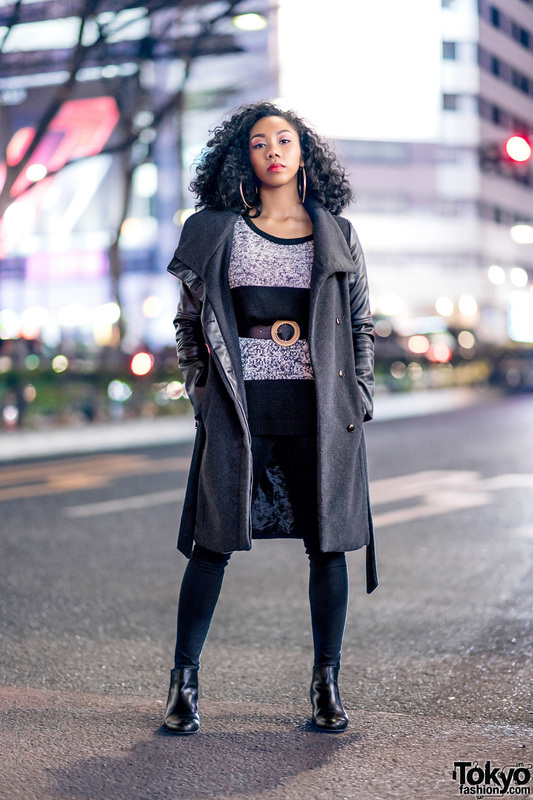 24-year-old dancer wearing all black in Harajuku. 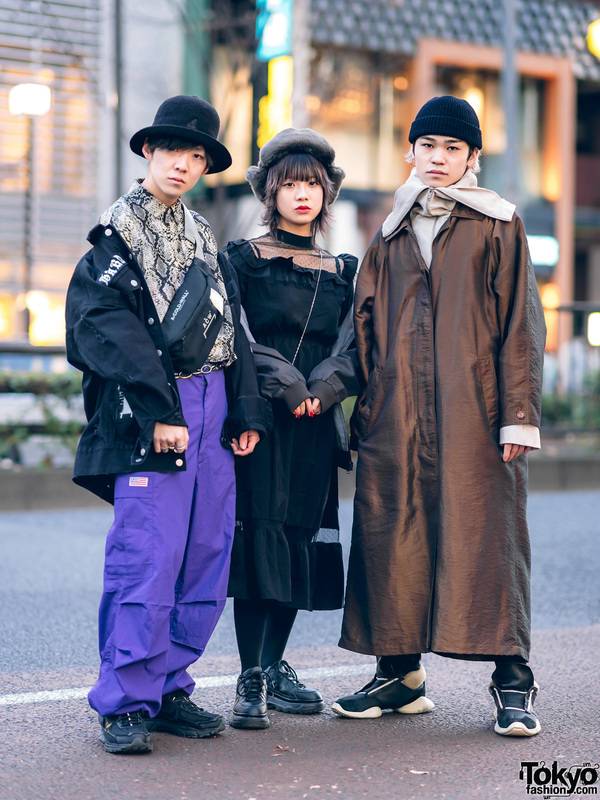 Group of Japanese teen guys sporting stylish menswear street style ensembles while out and about on the Harajuku street. 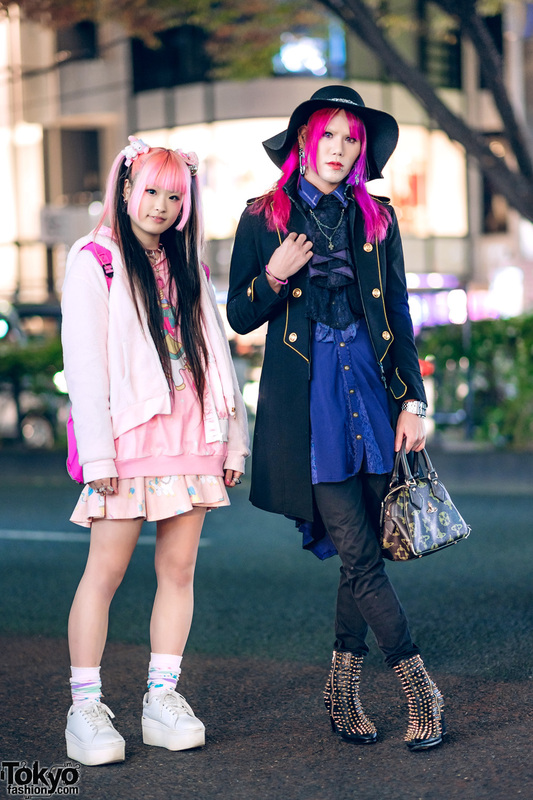 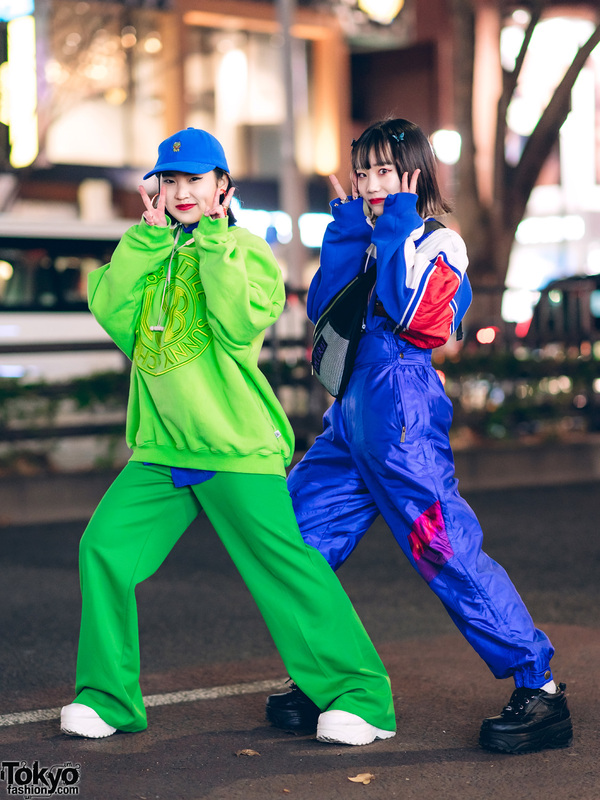 Harajuku duo sporting striking streetwear ensembles while out and about on the street one evening.